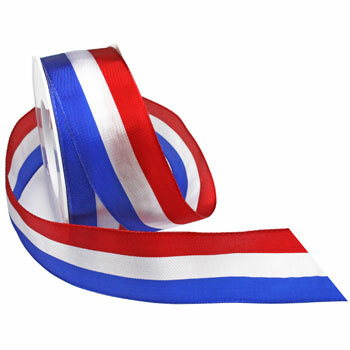 Patriotic stripes march proudly down this polyester, wired ribbon. The bright colors and sheen of Liberty will make Fourth of July or any occasion bold and beautiful. Consider adding some Americana to your next floral arrangements, bows, home decor or crafts!